When used in tandem, the healing powers of both yoga and acupuncture come together to create a highly effective harmonizing and health-promoting experience. 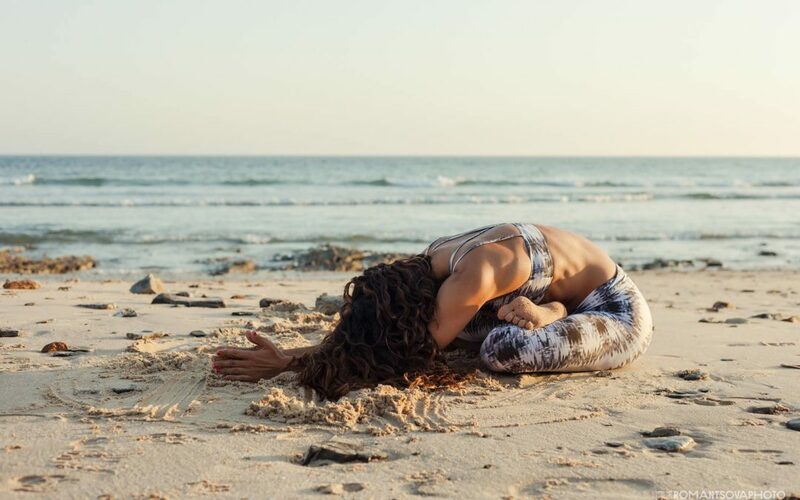 With AcuYoga Workshops coming up at Radiant Yoga Marbella we look into the magic of manipulating the body’s myriad meridians to increase the flow of our life force energy. As practising yoga works on keeping the body’s qi, or life-force energy flowing freely around the body, releasing blockages in the muscles and deep within our organs, aiming to balance, mind, body and spirit, acupuncture is an excellent complement. Regular practitioners of yoga will know that even with daily yoga sessions, the stresses and strains of daily life can leave the body with blockages, and the mind with thoughts that yoga alone simply cannot reach. This is where acupuncture comes in; as the ancient form of Chinese medicine works directly on the meridians, the channels for our Qi, or life-force energy, to bring our mind, body and spirit into greater health and harmony. With Restore & Reset AcuYoga workshops taking place soon at Radiant Yoga Marbella, led by wellness practitioner and acupuncturist, Dr. Julie LaBarge of The Wellness LAB, we take a closer look at the symbiotic relationship between these two complementary healing systems. By understanding a little more about our body’s meridians or energy channels, we can better appreciate how acupuncture and yoga work together to free up the flow of our vital energy source, or qi. Our body consists of a large web, the meridian system linking different parts of the body together. This network helps maintain the balance between yin/yang energies. Through the meridians the body receives vital energy and is protected against disease. Along these channels acupoints, or pressure points are sites through which the qi of the organs and meridians is transported to the body’s surface. There are twelve major meridians connecting internal organs, chest, head and many more micro meridians connecting our muscles and tendons. Qi, as it is known, is the life force energy flowing along the body’s meridians. Acupuncture needles, heat and pressure can be used to manipulate points along the meridians to stimulate the flow of qi which helps to alleviate a plethora of symptoms and conditions including chronic pain, digestive issues, respiratory problems and more. Acupuncture is a form of healing from the inside out. The practice of Traditional Chinese Medicine (TCM) is an ancient method of holistic medicine that has the ability to put you on the road to healing and prevent disease through the meticulous placement of needles into unique points that affect our Qi, (chi) or life force energy. Acupuncture is a great way to address the person as a whole to determine the internal state of dis-ease. Imbalances, leading to ailments and disease occur as a result of prolonged stress, a poor diet, difficult and unprocessed emotions, pain and environmental influences. The acupuncture points along the meridians are like doors – and the ultra-fine needles act as a key to open that door and release blockages and stagnations in our energy. The practice is detoxifying and stimulates the circulation. Our AcuYoga workshops are based on Auricular Acupuncture. Over 200 points on the ear are said to be a microsystem that reflects the acupuncture points of the entire body. This way, by placing needles in certain points on the ear, the corresponding areas and organs of the body are stimulated. Dr. LaBarge explains that the acupuncture points on the ear are divided into 15 sections, and several months are dedicated to learning about these points during the professional training in acupuncture. The key benefits of acupuncture include: restoring our energy levels, relieving physical and emotional pain, improving sleep, better organ function, lowered blood pressure and improved sense of wellbeing. Combining acupuncture with yoga allows us to dig deeper into the layers of our unconsciously stored imbalances. Yoga poses have the ability to open the channels through which our Qi flows thus decreasing many physical (and sometimes emotional) blockages held within. Acupuncture after Yoga (AcuYoga) therefore enhances the body’s receptive state and brings further awareness to the mind and body, discouraging disease thereby restoring the body’s innate ability to reset itself. One of the advantages of combining acupuncture with yoga is the ability to facilitate difficult postures by working on the physical and emotional blockages that can be stored deep within the muscles and meridians of your body. Should you be experiencing pain in getting into certain yoga poses, again, acupuncture can be a powerful aid in relieving pain, and by releasing long-term blockages, you may find that the more challenging asanas, or postures gradually become a little easier. By the same token, yoga can bring relief to those suffering from chronic or sporadic pain from eg, arthritis and sports injuries. The relief depends on the individual case and the frequency of the acupuncture. Coupled with yoga, prolonged pain relief and better pain management are tangible benefits of the two together. Stimulation of reflex points in the ear appears to be effective in relieving the symptoms of long-held blockages and distant pathologies. By following the map of the acupressure points and the areas/organs of the body they relate to, auricular acupuncture helps to relieve ailments and change emotional patterns. With many years of experience in delivering AcuYoga workshops, Dr. Julie LaBarge’s second workshop at Radiant Yoga Marbella Restore & Reset AcuYoga, is taking place on Saturday 17th February 2018 at 11am. As Dr. LaBarge explains, the ancient Chinese practice works on releasing blockages in the meridians, or energy channels that transport the chi around the body. Well harmonized, these two health-giving practices can accelerate the mutual benefits of each discipline bringing fast, effective relief to ailments and generally boosting our health from the inside out. “This class will include a gentle yoga flow led by yoga teacher Sara, and tailored toward restoring and resetting the yin-yang balance of your body. Dr. Julie LaBarge will then work her meridian magic with a session of auricular acupuncture on each person present. Auricular acupuncture is based on the idea that the ear is a micro system representative of the entire body’s meridians. Stimulation of reflex points in the ear is effective in relieving the symptoms of long-held blockages and distant pathologies. Working alongside the yin-nourishing acupuncture treatment is a session of yin yoga including a series of long, slow holds that help increase flexibility and joint mobility while opening the body’s energetic channels, or meridians. Acupuncture combined with yin yoga releases blockages and promotes the free flow of qi while nourishing the health of the body’s yin organs (lung, heart, pericardium, spleen, kidneys, and liver). “The overall effect of the class is calming and restorative,” states Dr. LaBarge. Sometimes referred to as “meridian yoga” certain postures or asanas are the perfect complement to the stimulation offered by the acupuncture sessions. Downward Dog – focuses on the meridians of the arms and shoulders, which can improve heart and lung function as well as relieving anxiety and improving sleeping. Warrior 2 – focuses on the lymphatic system, hips and knees. The benefits include better digestion and smoother joints. Bridge – this posture, also known as the Wheel, a complete back bend, can effectively stretch the stomach and spleen meridians. This brings relief from heartburn and digestive issues. Child’s Pose – this gentle, nurturing pose, often used to rest after more strenuous asanas, focuses on the spleen and stomach meridians and can improve kidney function as well as bringing relief to digestive ailments. Try following up your yoga class with a session of acupuncture and see the effect it has on your body. The Restore & Reset AcuYoga Workshop takes places at Radiant Yoga Marbella on Saturday 17th February at 11am. The 2-hour session is priced at 40 euro.